At some point towards the end of the year, Prime Minister Tony Abbott will face one of the biggest diplomatic tests of his new administration: his government’s first Australia—United States Ministerial (AUSMIN) meeting. These annual gatherings of foreign and defence ministers have been the political high point of the alliance relationship since the mid-1980s when New Zealand exiled itself from trilateral ANZUS Council meetings. A very small number of AUSMINs were cancelled or delayed in the early 1990s, but none since then and new Australian ministers will presumably be eager to strengthen their alliance credentials. This year’s AUSMIN should be in the United States, following the odd theatre of the 2012 ‘nothing to see here’ meeting in Perth. Readers will recall this was the meeting when Australian ministers Bob Carr and Stephen Smith went to great lengths beforehand  to deny that the US was worried about Australian defence spending cuts and wouldn’t raise this in talks. (The US was worried, and did raise the cuts.) This was also the meeting when an enthusiastic Hillary Clinton and Leon Panetta were effusive at the post-Ministerial media conference  about big steps taken in defence and space cooperation, only to find Carr and Smith—perhaps unused to delivering such policy substance—deadpanning a ‘nothing much is going on here’ routine. We can look forward to Senator Carr’s publication of his ministerial diary to find out why the previous government got cold feet at their last AUSMIN. Perhaps they had read too many opinion pieces in the Fairfax press predicting Chinese wrath about the (at the time) company-sized US Marine deployment in the Northern Territory—containment by the spoonful. Whatever the cause, Australia’s sudden spooked hitting of the brakes on public endorsement of our part of the pivot left the Americans puzzled and a bit exasperated. It’s amazing how much change a year can bring. All four key political players have changed. Clinton, the key driver of Obama’s Asian pivot agenda since 2010 has been replaced by the wooden John Kerry (perhaps we should be thankful he is more interested in the Middle East than Asia). Panetta has been replaced by Chuck Hagel, who’s been saying the right things, but whose heart didn’t really seem to be in it at this year’s Shangri-La dialogue. On the Australian side, Foreign Minister Julie Bishop and Defence Minister David Johnston have had the benefit of running their portfolios in Opposition for some years and know each other well as Western Australian MPs. But AUSMIN is the biggest step-up possible in Australia’s strategic calendar. Unlike some bilateral meetings, AUSMIN decisions shape real, practical cooperation. In short the Abbott government needs to make sure it has its strategic and defence policy act together for this meeting. Although Kerry and Hagel seem more interested in other big strategic challenges (think of the two ‘S’s—Syria and Sequestration), they’ll attend AUSMIN briefed to talk up the pivot or rather, the second term’s more languid ‘rebalancing’ strategy, and they’ll have a pocketful of hard questions for their Australian counterparts. Question one will be: ‘Are you Aussies really serious about defence spending?’ The Americans will have heard the commitment to lift spending to 2% of GDP  in a decade. But they’ll want to know in precise terms what that means in the real world of next year’s budget. The Australian side had better not counter by observing the US is cutting defence too, because the respective national outlays bear no useful comparison, such is the depth of US defence spending even after recent cuts. Australia, on the other hand, has been talking a big game on defence planning since 2009 without a believable funding base . We shouldn’t be surprised if the US, increasingly impatient with the spin, presses us hard on this issue. Defence spending levels was the conversation the Coalition didn’t really want to have in the last couple of years. It may come as a surprise to meet an ally that cares more about the military implications of defence spending than the mechanics of limiting it in favour of social spending. America’s second hard question will be about Australia’s part in the rebalance. The previous government dragged the chain over the Darwin deployment . Equally tepid has been the willingness to start facilities programs that would support combined activities involving the US Air Force and possible USN operations out of HMAS Stirling near Perth. The warm glow from President Obama’s November 2011 visit is now, remarkably, three Prime Ministers ago. It falls to Prime Minister Abbott to decide if he’s really serious about supporting this higher level of engagement. 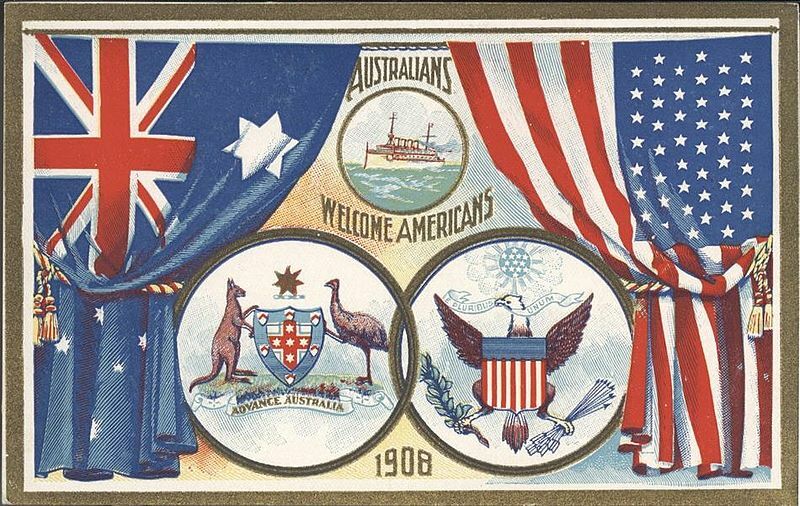 If Australia maintains a lukewarm approach the Americans will ultimately take their capacity for cooperation elsewhere—perhaps to Singapore , for example. It shouldn’t end that way. For Australia, the value of the engagement is a deeper US commitment to our security than we’ve seen since MacArthur arrived here from the Philippines. Moreover, the cooperation makes a real and immediate contribution to regional stability, and demonstrates Australia’s role as a consequential actor in the Asia-Pacific. That’s rather more useful than the promise of new submarines five or six elections from now. So at AUSMIN, Australia should be prepared to show its support for enhanced defence cooperation with the US by committing the necessary resources. The beauty of AUSMIN is that it provides that all-too-rare opportunity for serious discussion between two countries that don’t have to tip-toe around sensitive issues, at least in private. Australia will be entitled to ask the US some hard questions too, not least of which being ‘why hasn’t a clear strategy been developed that explains America’s long-term strategic purpose in the region’? There’s been little by way of amplification since the President’s November 2011 speech  in Canberra. Since then Obama has met with China’s President Xi, and events in the Middle East have hinted that the pivot might yet become a pirouette. A contemporary statement of American thinking would be valuable. Prime Minister Abbott probably won’t make an appearance at AUSMIN, although there are precedents, particularly when the meetings have been in Australia. John Howard attended his first AUSMIN in 1996 and rather stole the show by issuing the Sydney Statement —an early expression of the importance of the alliance to his government. Mr Abbott will certainly remember the precedent, but the meeting being in the US probably means he’ll use it as a preliminary to a later engagement with President Obama. Abbott’s own version of the Sydney Statement will come in time, perhaps in 2014 when AUSMIN will again be held down-under.